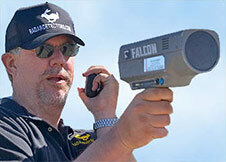 Thanks for signing up for my free Radar Detector E-Book. To download and read your FREE copy CLICK HERE! Please feel free to share my E-Book with your friends and as we update our E-Book quarterly, you may want to book mark this page for future reference. Remember to ACTIVATE and use your 10% discount code that is contained inside the eBook when ordering any items from the PowerSportsUS.com website. To activate the discount code click on the link(s) that are inside the E-Book that will direct you to the PowerSportsUS website. Then use the discount code at checkout. If you should have any comments/questions please feel free to contact me by using the email address within the Ebook or the contact page on this website.